Massive explosion, gunshots rock 14 Riveside in Westlands, Nairobi. 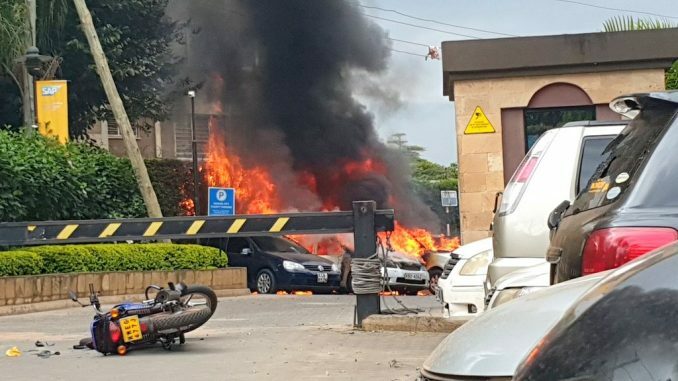 There was tension in Nairobi Tuesday afternoon when an explosion, followed by heavy gunfire was reported at a hotel in Westlands. 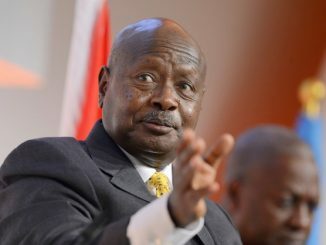 Kenya police responded to the suspected terror attack amid fear that hundreds of people had been trapped inside the buildings. The gunshots and explosion were reported at around 3:15pm. Several people said they heard a loud bang, followed by unceasing gunshots. Others were posting on social media social media indicating that they are holed up in buildings adjacent to Dusit Hotel. Plain clothed officers attached to the General Service Units, a paramilitary wing of the Kenya Police service have since been deployed almost an hour after the incident in and outside the hotel as more and more people continue to be evacuated. “Police wish to confirm that there has been an attack incident along 14 Riverside Drive. 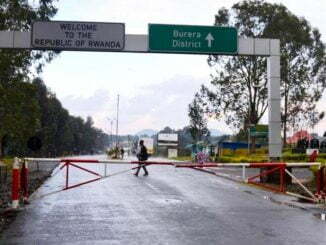 The area has since been cordoned off and motorists are advised to use alternative routes to facilitate smooth operations of the Police,” the National Police Service Commission said in a tweet. The personnel who were seen carrying pistols and AK47 riffles with some wearing bullet proof vests are leading scared members of the public out of the hotel away from the cordoned off parameters.Several others are reported injured. Several civilians could also be seen holding their pistols as they helped the officers with the evacuation Military trucks have since been deployed and soldiers are also being ferried to come and enforce the police. According to security guards at the hotel, six attackers disembarked from a vehicle near the gate and began shooting. It is believed that all the attackers are still in one of the buildings. Police and the army are making preparations to enter the building in the search for the attackers. Another explosion went off in the parking area, moments after police evacuated most of the people who were initially holed up in the building. Alshabaab militia have claimed responsibility for the attack.